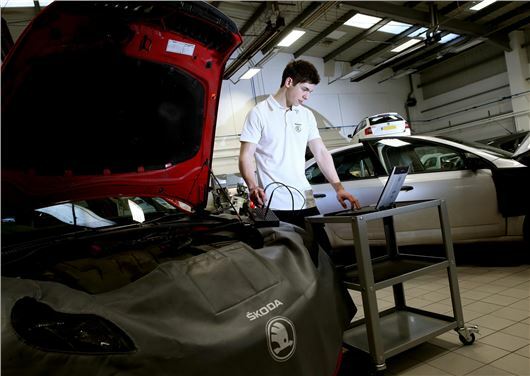 Skoda UK has sent its best British technicians to compete with mechanics from around Europe in the Skoda Service Challenge. The contest, founded in 2010, rewards the best service advisors and technicians from around Europe. Skoda UK is sending Darren Quibell of Horton Skoda in Lincoln and Simon Nickson of Simpsons Skoda in Preston. Darren had previously picked up the Service Technician of the Year award at the Skoda Retailer of the Year ceremony, while Simon was awarded Service Advisor of the year. Both underwent one-to-one training in the UK before heading to the Czech Republic for the final, where competed against teams from 39 other nations. Service Advisors are tested on their skills from the start of the service process right the way to the to the end, as well as their product knowledge. The technicians are also tested on their product knowledge, as well as on their ability to diagnose and solve problems through every area of the car.